Some more pictures of the history and the present coexistence. 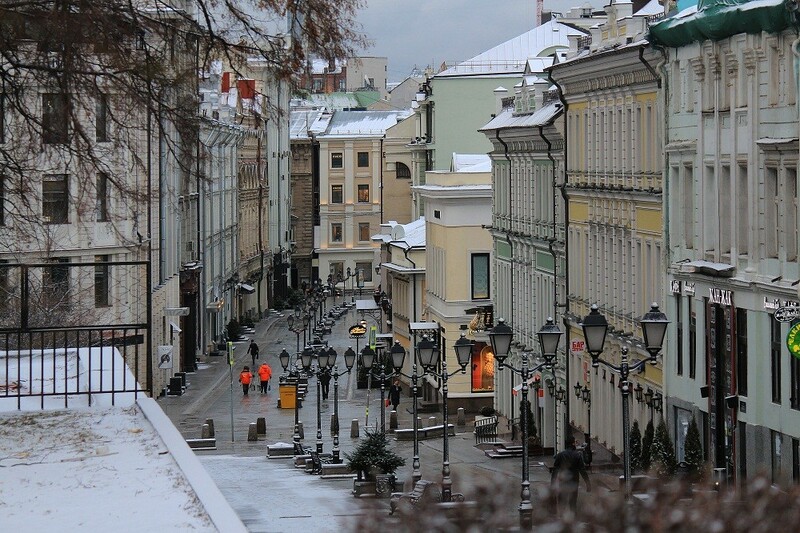 Photos from thin lanes at the very heart of Moscow. 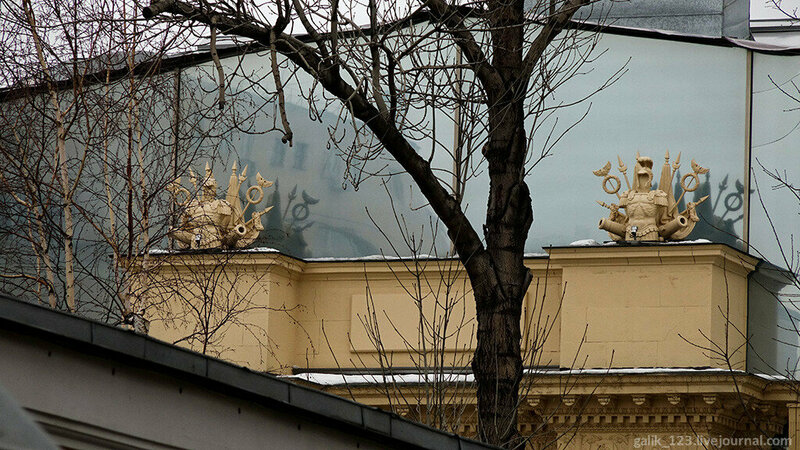 House number 24 at Bolshoy Afanasyevsky lane looks like ancient palace. It stands beyond the “red line” of the lane, which means that it had been built in 17th century. It was reconstructed and returned its historical look recently. I had to conduct a real investigation to find out what is the strange building (a triumphal arch? An entrance of a palace? An ancient Greek portico?) 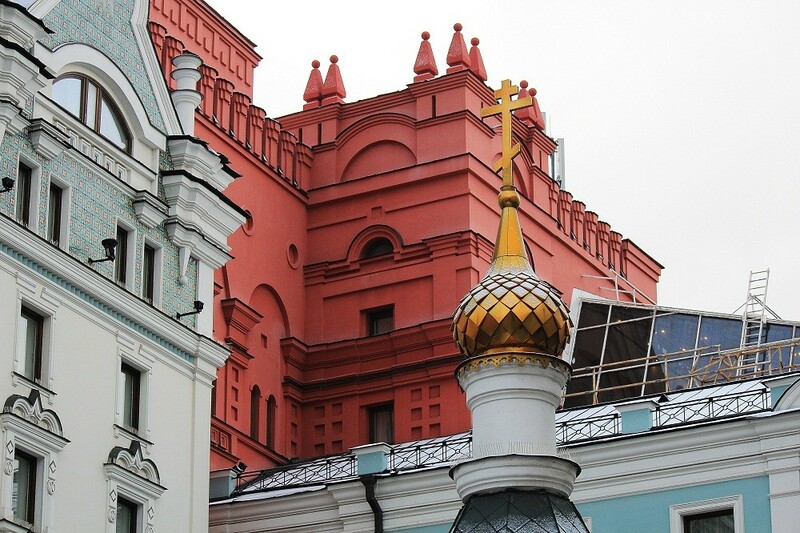 , raising above the Moscow roofs. Former N.G.Grigoryev’s apartment house is decorated with a bas-relief of the Lorelei, a river fairy, a character of German national legends and poetry, concerned with a Lurlei cliff on Rhine. 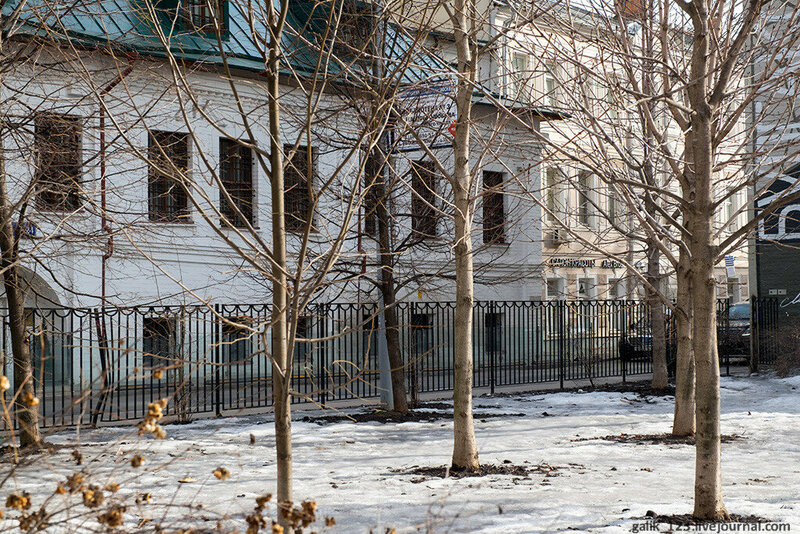 This house was built at Pyatnitskaya street at the beginning of the 20th century. 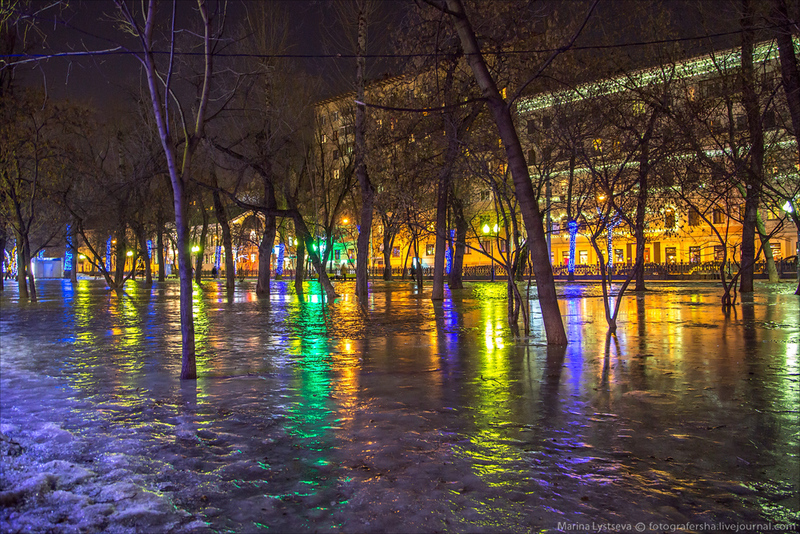 The knight at Gusyatnikov lane, Moscow. 1. The knight is placed on the former M.O. Epstein’s apartment house that had been rebuilt in pseudo Gothic style in 1912. This monument is a most known work of the architect V.E.Dubovsky. 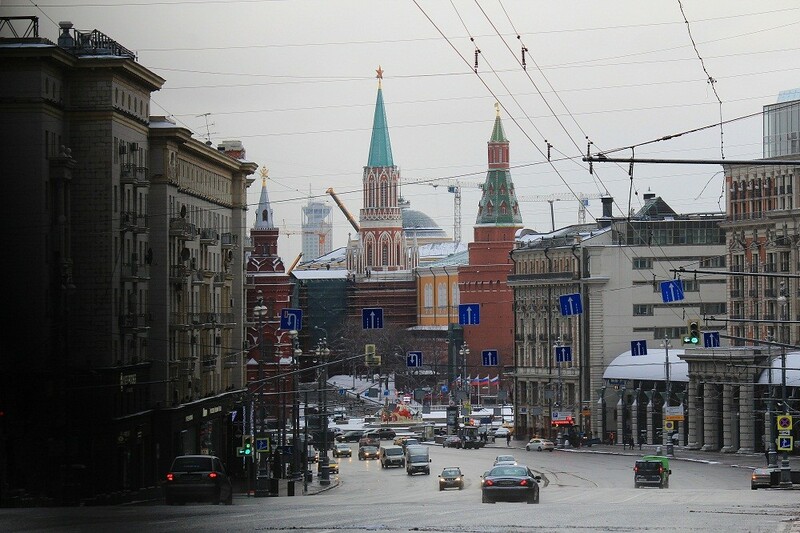 Here is one of the areas of Moscow, made pedestrian by Sobyanin: Stoleshnikov lane, Tverskaya square and Tverskoy passage. I think, I finally realized his motives. 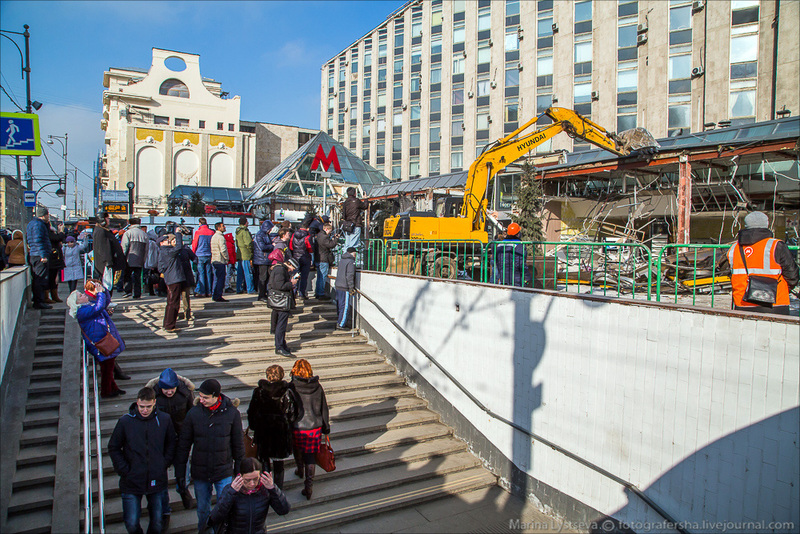 He just didn’t like the parking near the monument to Yuri Dolgorukiy in front of his windows. I wanted to look at one more Moscow street after reconstruction: Bolshaya Nikitskaya, so I’ve visited it and some side streets of it. I like walking in weekend’s mornings: there are much less people and cars at that time. 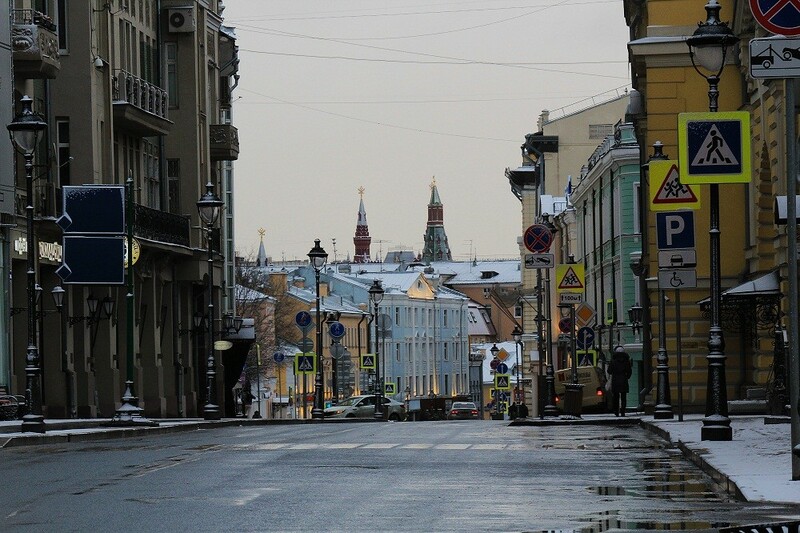 This is a part of the street from the Boulevard Ring to Kremlin. The lawns are covered with ice due to the frequent short thaws. Looking especially beautiful at night.